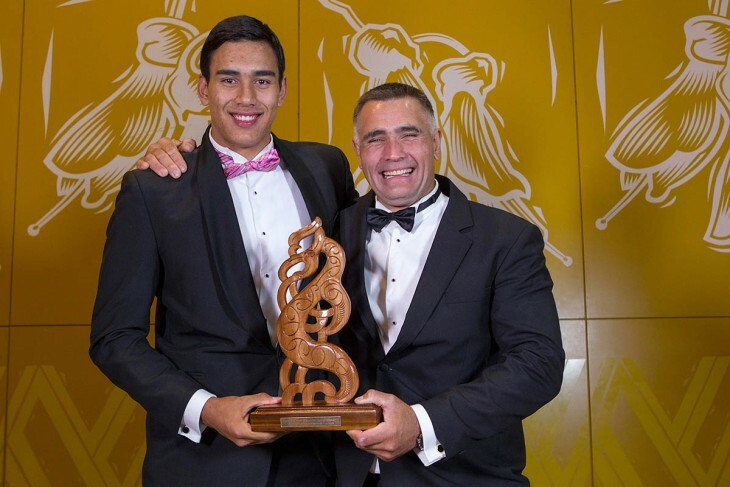 Multiple world champion wood chopper Jason Wynyard and his son, national basketball star Tai Wynyard, are the first ever joint winners of the supreme Albie Pryor Memorial Māori Sports Person of the Year award. 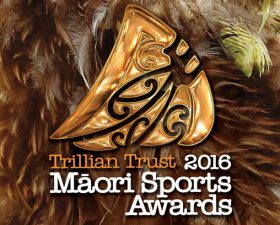 The Waitākere duo took out the top prize at the 24th awards ceremony hosted by Te Tohu Taakaro o Aotearoa Charitable Trust at the Vodafone Events Centre in Auckland last night (Saturday 30 November). 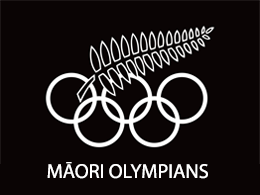 A total of 26 world champions – as individuals or team members – as well as the winners of 10 categories were recognised for their achievements while rugby league player Stacey Jones and golfer Philip Tataurangi were inducted into the Māori Sports Hall of Fame. All recipients and winners were in contention for the supreme award in honour of the event’s founder, Albie Pryor. 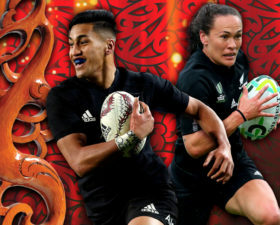 The most recognised axeman in the world today, Jason Wynyard accepted a string of awards – one as an individual world champion and the other as a Māori in a world champion team as well as the coveted Senior Māori Sportsman of the Year title – while 16-year-old Tall Blacks member Tai Wynyard won Junior Māori Sportsman of the Year. Māori radio programme producer, Waatea 603AM, broadcast live from the event while national indigenous broadcaster, Māori Television, is screening delayed highlights on Thursday 11 December from 8.30 pm.